Over sixty students and staff gave blood at today's senior class blood drive. 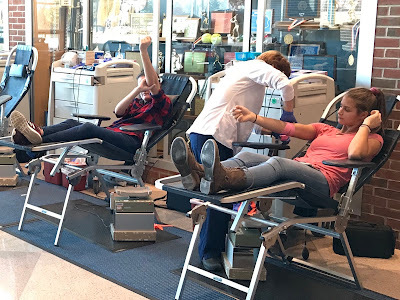 This was the second blood drive of the year. Two more are scheduled before the end of the school year. Many people receive multiple awards and honors for various reasons throughout their lifetime. However very few people receive degrees that less than one percent of members in the organization receive. These 5 members, Becca Brian, Mark Mellinger, Matt Harnish, Donovan Weaver, and Ben Welk were awarded their American Degrees in October at the 90th National Convention of the FFA in Indiana. Each one has worked diligently over the past several years to obtain this prestigious degree. There are several degrees any member can achieve during their FFA career. Degrees such as the Discovery degree, Greenhand degree, Chapter degree, and Keystone degree are all awarded to various members for achieving a certain criteria. Each degree shows honor and achievement. However, the American Degree is one of the highest and more valuable degree an FFA member can receive. Recently the Lancaster-Lebanon League girls volleyball coaches announced their all-star selections for the 2017 season. Lampeter-Strasburg outside-hitter Alexa Troiano was selected as a First Team Section Two All-Star and Haley Hoover was picked as a Second Team All-Star. 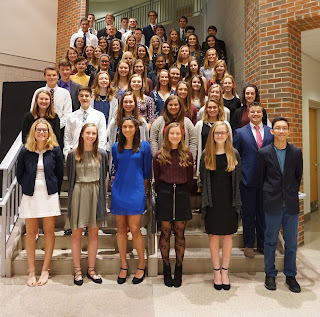 On the night of November 14, Lampeter-Strasburg High School students, families, and friends merged together to celebrate the annual National Honor’s Society induction ceremony. This ongoing tradition recognizes the new inductees of the acclaimed organization, constituted of 60 students this year--45 juniors and 15 seniors. Alongside them, there were 29 seniors retaining membership from the year previous. Interestingly, this was a record amount of new members. Eager to assist their college-bound students by providing more opportunities like advanced classes and in-depth programs, the Lampeter-Strasburg School District held its first College and Career Planning Night on Thursday, November 16th in the Performing Arts Center. 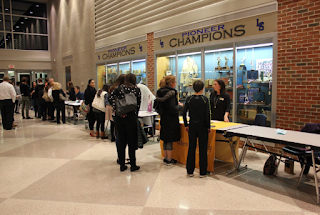 On Thursday night, students grade six through twelve and their parents gathered to learn about the various programs that L-S is proud to offer their students. They were able to meet with colleges and universities that offer high school programs and acquire information on the college-level opportunities that are available at the high school. The night began and ended with a visitation of the colleges and universities, including Penn State York, Lancaster Bible College, HACC, Millersville University, and even Thaddeus Stevens, that all offered classes and programs for high school students. For example, HACC offers college level classes that you can take in the comfort of Lampeter-Strasburg High School. Last night, the Pioneers trekked to Rocco Ortenzio Stadium in Harrisburg to challenge Bishop McDevitt in the District Three Class 4A semifinal football match-up. While at a cursorily glance, the 47-17 loss might appear to tell one story, Lampeter-Strasburg head coach Mr. John Manion says it tells another. "I am so proud of my guys," Manion said. "Turnovers were a big story in the first half. The second half they just wore us down." Do you need community service hours for school? Are you sure? Every student needs 30 hours' worth to graduate. On the flip-side, does your group need help with an upcoming event? If you answered yes to either question, then contact the Interact club. Interact gives students the chance to make a real difference while having fun. Every year the Interact Club carries out various service projects that helps both the school and community. Interact is the perfect club to join to make new friends. Past and upcoming Interact activities include: helping at the Lampeter Fair, tour guides at freshmen orientation and back-to-school night, Christmas Caroling, and Christmas present wrapping to name a few. Any Lampeter-Strasburg High School student can join. Just because it's November doesn't mean it is too late to join either. There are a bunch of upcoming activities to be involved with. 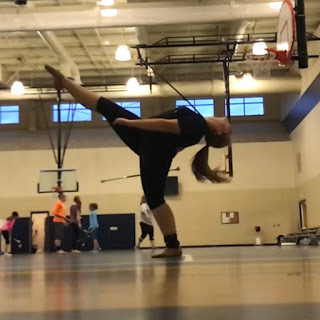 In My Own WordsIn this installment of In My Own Words, Lauren Powell talks about twirling fire on her competitive twirling team. We have four weeks until our first baton competition of the season. The other girls and I who are on the competitive and Disney teams have been working hard since this the end of July to premier our new routines for the season. I have been twirling with Melanie's Miracles since I was in first grade. Two years ago we took three routines to Twirl Mania in Disney World and last year we stared a Competition Team that competes in more competitions than regular class routines do. This year we have three Competition Team routines of which two of them are traveling to compete in Disney. These routines go to five competitions except for the Disney team which goes to the Disney competition. Two of these competitions all of the regular classes also go to. In My Own WordsIn this installment of In My Own Words, Sean McTaggart talks last Friday's icy cold Northern Lebanon Districts playoff game. On Friday, the Lampeter-Strasburg football team made the long 90 minutes commute to Northern Lebanon for our first District playoff game. As we walk onto the field, it was ten degrees colder than it was outside our locker room. With the wind chill, it was 15 degrees. Warming up was not so much of a warm up with how cold it felt. As we run over plays, throw, catch, run, and block, we knew we were ready. On the first drive, we had a couple of third and fourth conversions, but on around the one yard line we fumbled and Northern Lebanon took over with momentum. After the first quarter, Northern Lebanon was leading 6-0 after a couple missed plays by us, and a long touchdown pass by Northern Lebanon. Then later a blocked extra point. 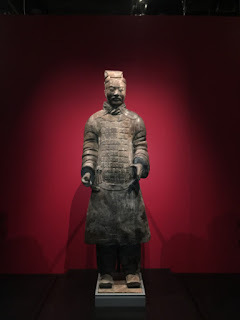 Last weekend the Lampeter-Strasburg Asian Culture club and Mr. Brian Fisher’s Mandarin Chinese classes were invited on a trip to the Franklin Institute to see the Terracotta Warriors. Out of the estimated 8,000 Terracotta Warriors, ten were on display at the museum. History of the Terracotta WarriorsLet me give you a brief history of the Terracotta Warriors. In 1974, some Chinese farmers were digging a well in Xi’an and found terracotta pottery. As they dug deeper they found bigger than life-size statues. Wrestling is a great sport in which get in amazing shape. In fact, it is one of the oldest sport dating back to before the first Olympic games in Greece in 776 BC. There are now three styles of wrestling. There is folk style, roman-greco, and freestyle. The different styles come with different rules of course. With three different styles, wrestlers can the style that works best for them. Wrestling provides the opportunity to display pure dominance over an opponent. As long as you weigh between 106 and 280 pounds, you can wrestle. Even physical disabilities like not having legs or fingers doesn't prevent a person from wrestling. To be good, wrestling takes a lot of dedication but the pay off is worth it. Wrestling causes a person to get in great shape and to work hard for a goal. Many wrestlers are also good at other sports due to their ability to keep great position and their responsible aggression. The spring musical has been announced, and it's West Side Story. Music auditions are by appointment only on Tuesday, November 28 and Wednesday, November 29 in the choir room starting at 3 pm. Dance auditions are in the cafeteria on Thursday, November 30. All are invited. No appointment necessary. Featured Female Dancers are at 3:30 PM (bring a long skirt). Male Dancers at are 4:00 PM. Female Dancers are at 4:30 PM. Callbacks auditions are Thursday, November 30 and Friday, December 1 in the choir room starting at 3:00 PM. Sign-up outside of Mr. Welchans’ Office in the first floor band hallway. Achieving straight As, or an unweighted GPA of 4.0, is the goal of many high school students. Getting straight As involves a lot of hard work, but it isn't impossible. 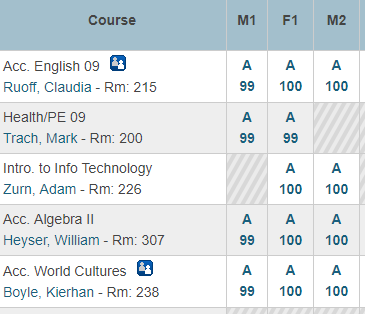 Here is how I believe you can get all As. Do your homework. The number of students who do not do their homework shocks me. But doing your homework has many benefits and will help keep your grades up. Those five points you receive for a homework check matter, and when you get a 0 out of 5, it matters even more. Doing your homework also helps you learn the information, raising your test and quiz grades as well.Don't procrastinate. Last night neither Old Man Winter or Northern Lebanon could stop the Lampeter-Strasburg football team from winning the District 3 Class AAAA quarterfinal match of playoffs. The Vikings had the Pioneers on the ropes for much of the game. At the half, Northern Lebanon was leading 13-7. The Viking maintained that lead, 19-14, going into the fourth quarter. But the Pioneers started to heat up despite the dropping temperate as L-S completed shut out the Viking in the fourth quarter while putting up another 20 points. When the final buzzer sounded the Pioneers were victorious, 34-19. See all of Emmerling's game photos here. Enigma Weekend Edition: "Falling Apart"
Life has went away while I’ve gone astray. Please tell me what to do, I never want to choose. It falls around me, The tribes say it’s due to chi. I need but to open my eye to see all the people cry. Pain is the promise I will keep, I will bring it while you weep. I am the whisper in the night, Hear me while the tears blur your sight. There is no longer any hope, How will I cope? I am within the grips of dark, I have now been made the devil’s mark. Please let me escape! I don’t need a chart to see that things fall apart. Graduate Spotlight: Maddie Buck is "Home for the Holidays"
Everyone says they are going to be "Home for the Holidays." 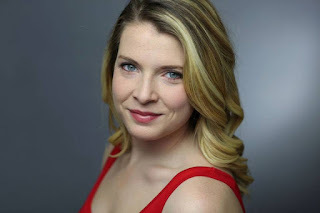 2013 Lampeter-Strasburg graduate Madison Buck does it twice a day six days a week in American Music Theater's Christmas Show: Home for the Holidays. Madison Paige Buck always expressed her passion and love for the arts! Her love of theater and singing was developed at school through her participation in chorus, middle school and high school Madrigals, fall play, spring musicals, Thespian Society, and Tri-M Music Honor Society, for which she served as President her senior year of high school. Additionally, she took private voice lessons under the direction of Katie Wieand from 2006-2013. In addition to her extra-curricular activities, she took every music class offered at the high school. This is a picture of my varsity club officers with some of our shoe drive collection. This week the Lampeter-Strasburg Varsity Club held its third annual sneaker drive. The drive was a huge success collecting 300 pairs in total. Hans Herr contributed the lion’s share with over 250 pair. and tons of sneakers (which is what we really need) were in the collection. Several high school students were excited to see some popular Nike shoes commenting that younger kids would be really excited to get a shoe that was that popular. The sneakers are Philadelphia bound for poverty stricken youth. Without sneakers, these Philadelphia students are unable to participate in gym class. In My Own WordsIn this installment of In My Own Words, Crosby Renninger talks about performing at the Ware Center in downtown Lancaster and being recorded on CD. Last weekend of Friday, November 3, I had the experience of performing at the Ware Center in Lancaster city, for First Friday. 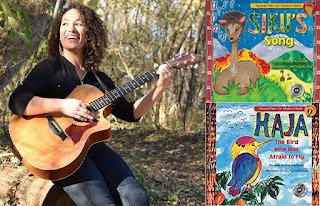 My voice and guitar teacher, Julia Jordan Kamanda, has written and published a series of musical story books – her first book, Haja, and her second book Siku’s Song. In both books, I was able to join my teacher, along with three other girls, and we were all part of her musical CD that went along with the books. It was a very neat experience. I was able to record my voice in a recording studio, along with the other girls and my teacher; it was so much fun. I was even more excited when I was able to go back a second time, to record her second book Siku’s Song.